Managing your DirecTV lineup just got a lot easier. 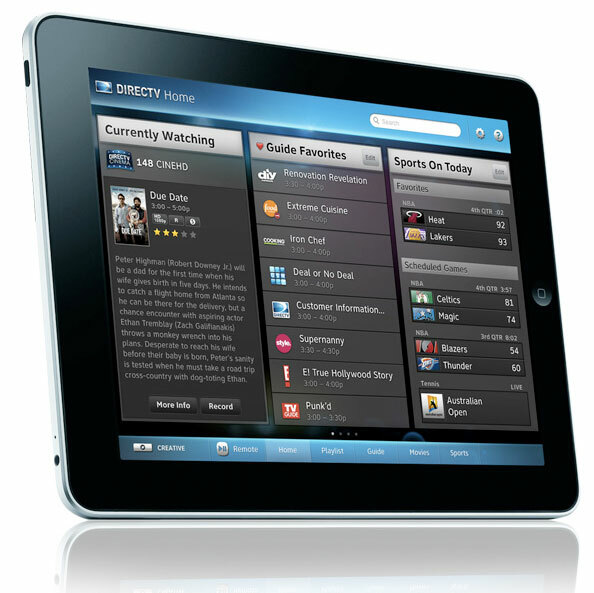 DirecTV has launched a new app for the iPad which allows you to control your TV just like a remote control, but with the benefit of having a “Home” screen containing all your favorite listings. The iPad app lets you browse programming, fast-forward, rewind, record, and get information on titles. If you’re a sports fanatic, you can create your own roster with the teams you follow, get real-time scores, and watch a game or access your DVR for recorded games. Other options available using the iPad DirecTV app include choosing your HD DVR, mobile scheduling, searching, and viewing your DVR playlist. The free iPad app is available to download from the Apple iTunes App Store.